We’d love your help. 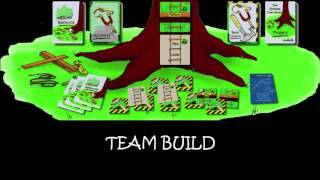 Let us know what’s wrong with this preview of The Ultimate Tree House Project by Gary M. Nelson. Alternate Cover Edition for 9781482558135. 10 year old best friends Ben, James, Tim & Tom find the perfect tree in a forest near their school and begin to build the Ultimate Tree House. Things start with a bang, and get even worse when Ben's sister Amanda discovers them working on their secret tree house. Next thing they know, the girls are building their own - in the s Alternate Cover Edition for 9781482558135. 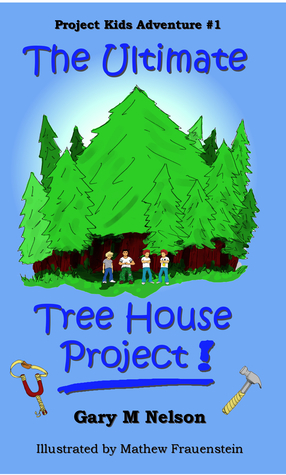 To ask other readers questions about The Ultimate Tree House Project, please sign up. Ben declares himself their leader, but he has no plan. When they can’t figure out how to make a rope ladder, they decide they don’t need one. Amanda is upset that they would not accept her help. She knows how to tie a rope knot. That night she talks to her dad. He suggests that she and her friends, Becky, Alice and Susan build their own tree house. He offers to help but warns Amanda that they will not succeed without a plan! She must first imagine what the tree house will look like and draw pictures. Armed with a plan, the girls set out in the forest with a compass to guide them, but they cannot find another tree large enough to support a tree house. The boys have made little progress and reluctantly agree that the girls can build on the other side of their tree. In a short time, the girls have a rope ladder and a system of pulleys to haul up their materials. Meanwhile, the boys run out of nails and James’ father discovers they have stolen all his nails without permission so now they must now buy their own. A series of accidents and natural disasters occur. It seems that the tree house project is doomed. Will the girls and boys find a way to work together to get the job done or will the summer come and go without a tree house? Nelson was inspired to write this book by his own wife and children. The language is suitable for middle grade students and the competition of boy versus girl will appeal to this age group. A fifteen year old artist drew the illustrations with simple colorful images. There is a bit too much conversation in the text which sometimes interferes with the story flow but does not impede the message. An appendix includes a glossary of technical terms. Nelson aligns the book to educational standards in the United Kingdom, the United States, and New Zealand. Resources and kids projects are promised to be coming soon. Parents and teachers will appreciate the lessons of friendship, team work, planning and cooperation found in this book. We had an Education Session at my Powertalk club recently on S.M.A.R.T. goals. You probably already know the acronym, but it was almost new to me. I desperately need some S.M.A.R.T.ness in my life. I need proper Project Management skills too! Gary Nelson has written a book on Project Management for adults, which I haven't read (but you may well want to have a look at it - Gazza's Guide to Practical Project Management). Given that my projects aren't great big ones, but personal, this book written We had an Education Session at my Powertalk club recently on S.M.A.R.T. goals. You probably already know the acronym, but it was almost new to me. I desperately need some S.M.A.R.T.ness in my life. I need proper Project Management skills too! Gary Nelson has written a book on Project Management for adults, which I haven't read (but you may well want to have a look at it - Gazza's Guide to Practical Project Management). Given that my projects aren't great big ones, but personal, this book written for children is probably more along my line. It's also a great read. 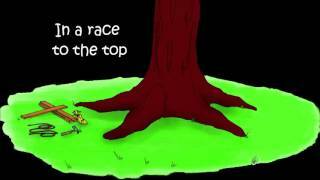 The boys discover a fabulous tree and decide to build a tree house. As one of their sisters is having a nosy at it one day early on in their endeavours, she offers assistance in building a rope ladder. The boys are 10 - of course they refuse it! "No girls allowed." But the sister talks about it to her father, who suggests the girls 4 of them, aged 11) build their own. I can't remember the precise order of things here, and I'm not looking at the book right at this moment, but that's the gist of it. Father also offers help, and he's just the right person as he's a Project Manager at his workplace. This review has been hidden because it contains spoilers. To view it, click here. Don't know, I haven't read the book. A fun book, explaining the process of building a tree house in a story which is fun. It reminds me of books I've read when I was younger. Gary M. Nelson, BSC, PMP (Gazza) is passionate about sharing knowledge and making Project Management concepts more accessible, particularly to new and aspiring Project Managers (of all ages). Said another way, he likes to tell stories to help convey complex concepts in a way that helps the concepts "stick". Who says learning shouldn't be fun? Born in Calgary, Alberta (Canada), Gary moved west to B. Gary M. Nelson, BSC, PMP (Gazza) is passionate about sharing knowledge and making Project Management concepts more accessible, particularly to new and aspiring Project Managers (of all ages). Said another way, he likes to tell stories to help convey complex concepts in a way that helps the concepts "stick". Who says learning shouldn't be fun?